Check out Tobi's Kacey Chunky Knit Sweater Get outdoorsy with the Kacey Plum Chunky Knit Sweater. This slouchy sweater features a crew neckline, long balloon sleeves, and ribbing throughout. We see hikes and campfires in your future. Pair this trendy sweater with solid leggings and boots. 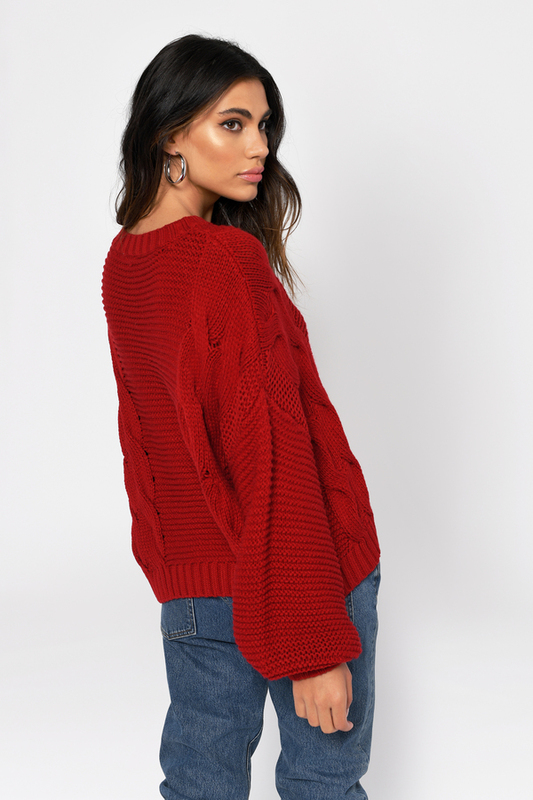 Get outdoorsy with the Kacey Red Chunky Knit Sweater. 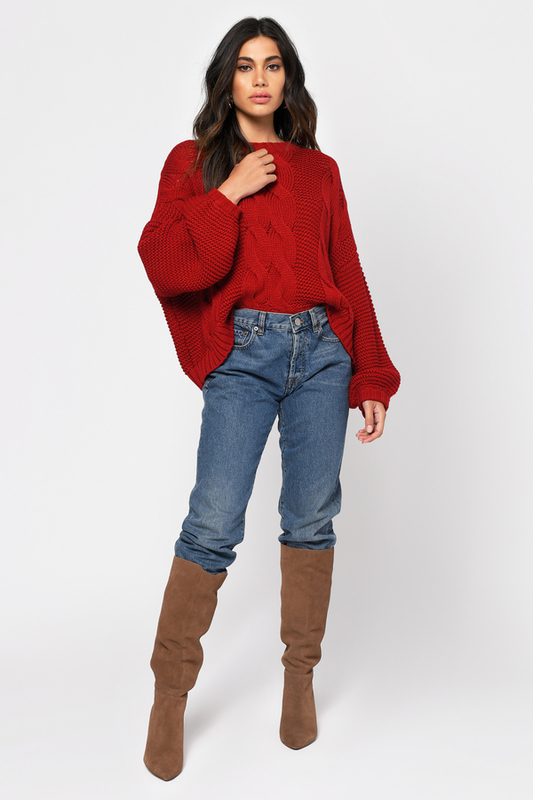 This slouchy sweater features a crew neckline, long balloon sleeves, and ribbing throughout. We see hikes and campfires in your future. Pair this trendy sweater with solid leggings and boots. 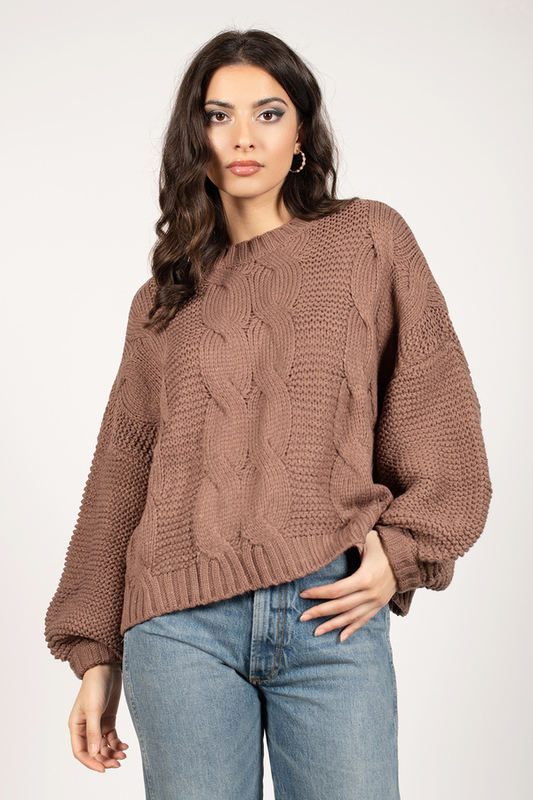 Get outdoorsy with the Kacey Mocha Chunky Knit Sweater. 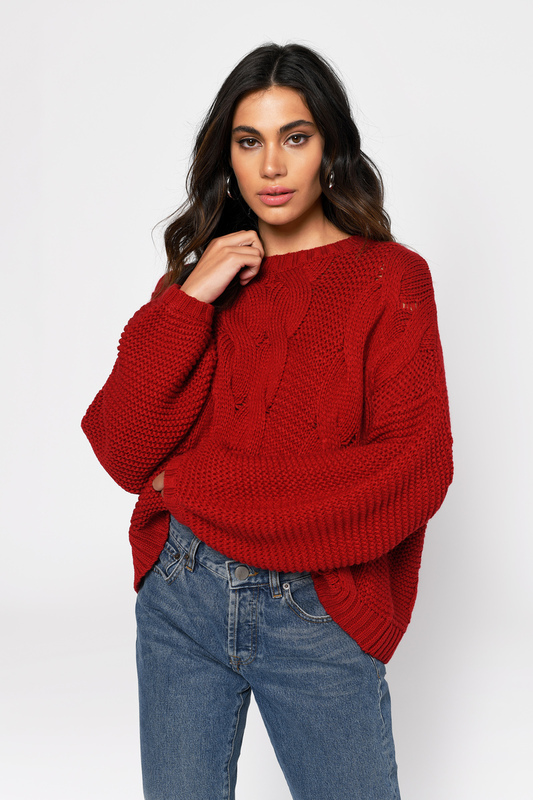 This slouchy sweater features a crew neckline, long balloon sleeves, and ribbing throughout. We see hikes and campfires in your future. Pair this trendy sweater with solid leggings and boots. Get outdoorsy with the Kacey Plum Chunky Knit Sweater. This slouchy sweater features a crew neckline, long balloon sleeves, and ribbing throughout. We see hikes and campfires in your future. Pair this trendy sweater with solid leggings and boots. Mocha modeled on a size Small. Plum modeled on a size Small.